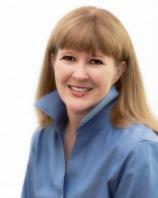 Suzanne Woods Fisher is the bestselling author of THE LETTERS, THE CALLING, the Lancaster County Secrets series, and the Stoney Ridge Seasons series, as well as nonfiction books about the Amish, including AMISH PEACE. She is also the co-author of an Amish children's series, The Adventures of Lily Lapp. Suzanne is a Carol Award winner for THE SEARCH, a Carol Award finalist for THE CHOICE, and a Christy Award finalist for THE WAITING. She is also a columnist for Christian Post and Cooking & Such magazines. She lives in California. Through true stories gathered from a variety of Amish communities, bestselling author Suzanne Woods Fisher shows you how the Amish are able to release their pain and desire for revenge, and live at peace with others. Her in-depth, personal research uncovers the astounding yet fundamental way the Amish can forgive anyone. You'll learn how to invite God into your story, apply lessons from the Amish to your own circumstances, and find the freedom that comes with true forgiveness. On a hot day in 1737 in Rotterdam, Anna König reluctantly sets foot on the Charming Nancy, a merchant ship that will carry her and her fellow Amish believers across the Atlantic to start a new life. Ship's carpenter Bairn resents the somber people --- dubbed Peculiars by the deckhands --- who fill the lower deck. Delays, storms, illness and diminishing provisions test the mettle and patience of everyone on board. When Anna is caught in a life-threatening situation, Bairn makes a discovery that shakes his entire foundation. But has the revelation come too late? Billy Lapp is far away from his Amish roots working as a rose rustler for Penn State and wants nothing to do with Stoney Ridge. And that suits Bess Riehl just fine. Why should she think twice about a man who left without a word of explanation? When a "lost" rose is discovered in a forgotten corner of the greenhouse at Rose Hill Farm, Billy is sent to track down its origins. He ends up having a hard time narrowing down the identity of the lost rose --- and can't get Bess out of his mind. Naomi King has a gift. She sees what others can't see. Intuition, she calls it. Others in Stoney Ridge don't know what to make of it and dismiss her hunches altogether. When a young woman arrives at the Inn at Eagle Hill with a shocking secret about Tobe Schrock, Naomi fears the worst. She can't ignore the feeling that something sinister is at work. As signs mount, they begin to point to Jake Hertzler, the mastermind behind Schrock Investments' downfall. Soon, events spiral hopelessly out of control and Naomi must decide whether to listen to her head or her heart. When widow Rose Schrock turns her Amish farmhouse into a bed and breakfast, she expects there might be problems. The reaction of her cantankerous mother-in-law for one. Disapproval from the church for another. But what she doesn’t expect is that the guests at the Inn at Eagle Hill will spill their problems into her life and into her heart. She also never expects the kind of help and support she gets from Galen King, the quiet and rugged horse trainer next door. Nineteen-year-old Mary Kate Lapp's dreams of travel have taken a backseat to her assignment to teach school this year. But when a sudden and unexplained death conveniently coincides with the arrival of a mysterious young man, M.K. is frustrated that no one takes it seriously. She’s determined to take matters into her own hands and get to the bottom of it. Will she find more than she bargained for? When Sadie Lapp steps off the bus in Stoney Ridge after being in Ohio for the winter, she is faced with a decision --- one that goes against her very essence. Yet it's the only way she can think of to protect a loved one. The lives of three individuals intertwine, and then unravel as unexpected twists create ripples through the town of Stoney Ridge...and through Sadie's heart. Julia Lapp has planned to marry Paul Fisher since she was a girl. But when Paul wants to postpone the wedding, again, she knows who is to blame: perpetual bachelor Roman Troyer. Can Julia secure the future she's always dreamed of, or does God have something else in mind? A winter storm raging outside blows Jaime and C. J. Fitzpatrick into the home of Mattie and Sol Riehl --- and into a much slower pace of life. Can these two couples from different worlds help each other understand the true meaning of love this Christmas? As a child caught up in a crisis, Lainey O'Toole made a split-second decision with far-reaching effects. Fifteen years later, when her car breaks down in Stoney Ridge --- the very town in which that decision was made --- she is forced to face the past and discover how her decision has impacted so many. You don't have to become Amish to make personal peace a reality. Organized around five central themes in Amish life, AMISH PEACE shows you how you can cultivate a simple life of love, gratitude and faith in the midst of a very complicated world.